We are a leading Wholesale Trader of groz hand tools from Chennai, India. 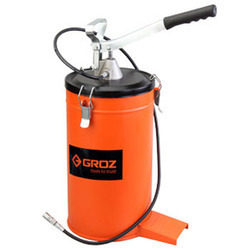 With the support of our team of professionals, we have been able to manufacture, trade, distribute and supply Groz Hand Tools. These hand tools are accredited in the industry because of their performance. In order to assure their quality, these hand tools are perfectly checked on quality factors. We provide these hand tools in number of stipulations along with customized facility as per the requirements of the customers. The offered hand tools can be taken in large quantity at industry leading rates. Looking for All Fittings ?